For an EPIC garden adventure you can't go past these famous gardens. Hidden away in the little suburb of Ripponlea and behind a barrier of fences and high trees - you have no idea the treat you are in for as you walk up the drive. The magnificent house stands 'guard' and overlooks the lush green lawn which is a popular place for festivals and events. 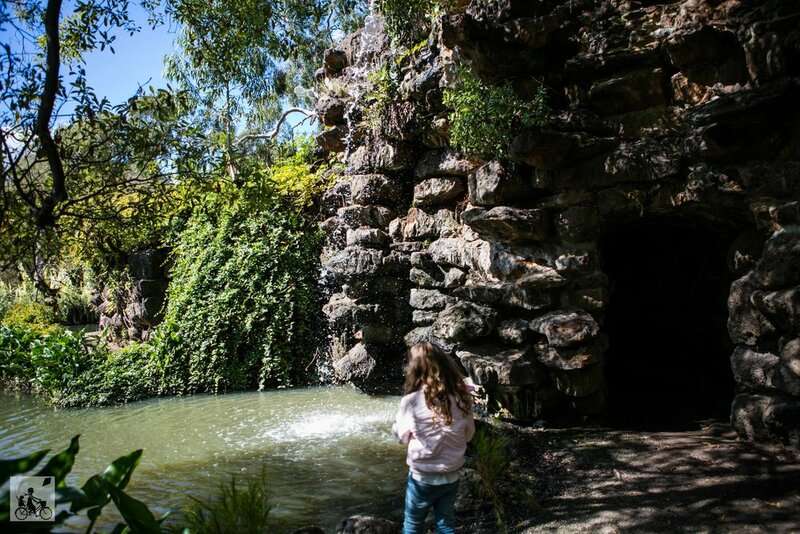 Take a walk through the huge fernery where you are dwarfed by these HUGE plants an be sure to check out the pool area and dream of an era when some pretty cool 'Great Gatsby' type parties that would have been held here! Mamma LOVES the lake area complete with pretty bridges, boat shed, a look out and waterfall (with hidden grotto behind it!). Keep an eye out for some eels gliding through the water too! Pack a picnic and spread out over the lawn for the afternoon or grab a bite at the cafe/gift shop! Oh and tours are available for the mansion and the gardens too! Mamma's special mention: Want more garden adventures? Head to St Kilda Botanical Gardens just a hop skip and jump away!